So it seems that summer winding down and the weather starting to change up here in Toronto. I hope everyone has been making the most of their summer and has some big plans for the upcoming long weekend. 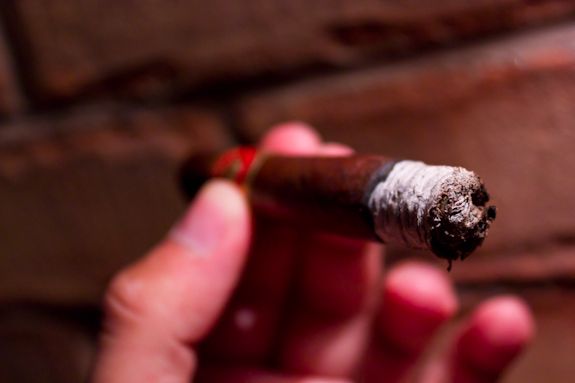 Make sure you have something special lined up to smoke and enjoy! 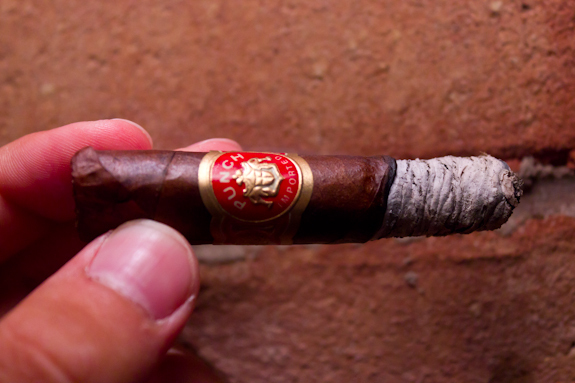 Today’s cigar review is coming from the factory’s of General Cigar in Honduras. 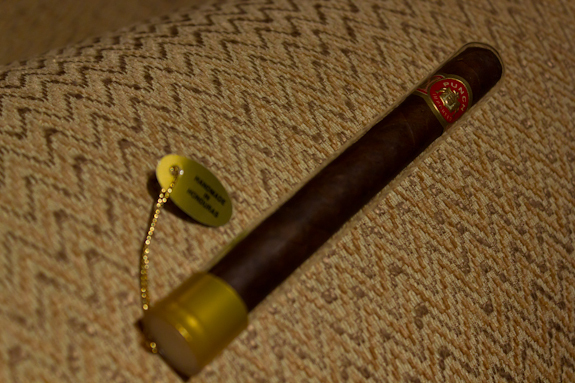 It is from the Punch line up and is called the Cafe Royal Maduro. 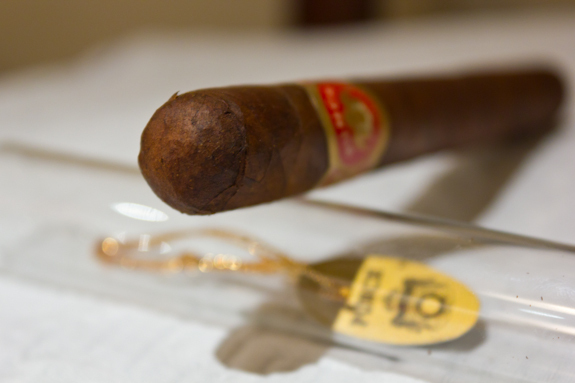 The Cafe Royal comes packed in a thick and solid glass tube, thicker than most others I’ve come across, and has a gold seal at the bottom. 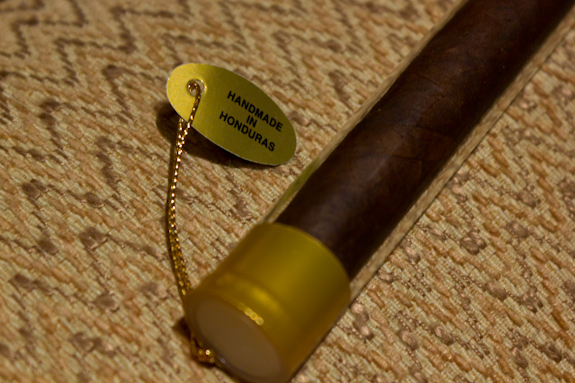 Inside, the cigar is easily visible with it’s single gold and red band. 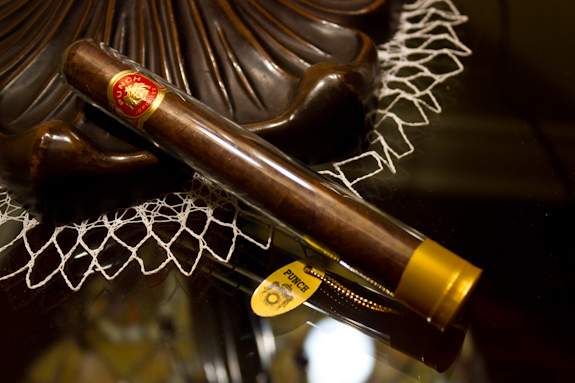 The Punch Cafe Royal is available in wrappers, either Connecticut or Maduro. 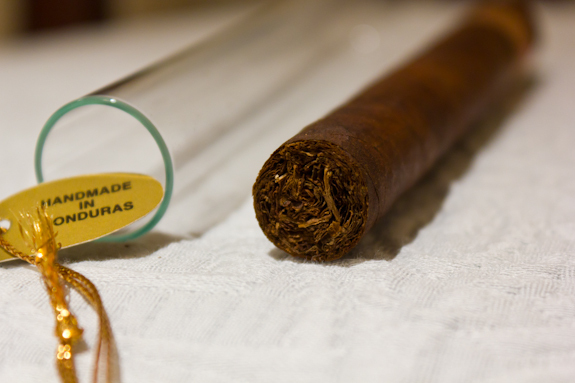 There are also some other similar vitolas in the line-up but they have different names and don’t come in glass tubes so this is sort of a special part of the line. I’ve had this one lying around in my humidor still sealed for at least a year, possibly 2. Hopefully it didn’t dry up while sealed… more on that later. 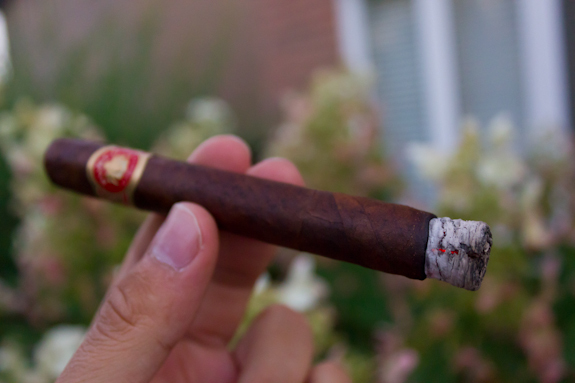 Today I’m taking this cigar outside for a nice after dinner smoke. I don’t think I’ve had a Punch in quite awhile so it will be interesting to revisit this line again. The last review we did on a Punch was actually almost 3 years ago by Tony when he reviewed the Punch Uppercut. 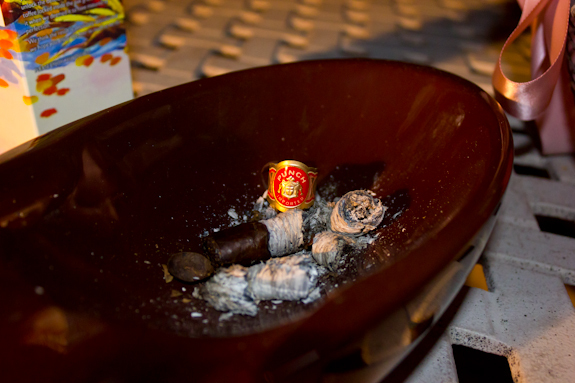 Now as a side note, we also have a special contest running right now from our friends over at General Cigar as well. Make sure to read about it at the bottom of the review! There’s not much I can say here that I haven’t said before. 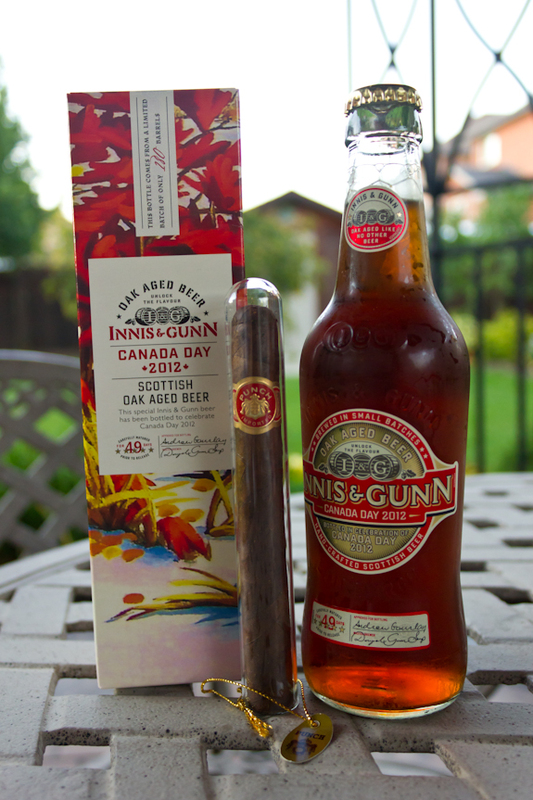 If you look through past reviews you will see that I am a huge fan of all the Innis & Gunn brews and this years Canada Day 2012 special edition is no slouch. For those of you who know, Canada Day was actually back on July 1st but I was a little busy getting married and all so this brew sat in my fridge for a little longer. It is a limited production brew restricted to batch of only 180 Oak Barrels and bottled in individual boxes. It spent 49 days inside that barrel and it came out tasting fantastic. Toffee, coffee, a touch of sweetness and some vanilla backed by a malty finish. Damn tasty! A good pairing for any medium bodied cigar! So, do you like Golf? Like Macanudo? Know someone that does? We’ll be giving away 2 sets of these Callaway hats and 1 of these Callaway golf towels away to our readers! Now how do you win, you ask? It’s simple! All you gotta do is add a comment here or on our Facebook page and answer the following question: Name something you would love to take a swing at while sporting this awesome hat and towel??? Also, make sure to “Like” our Facebook page to win! Link Here! It’s that easy. 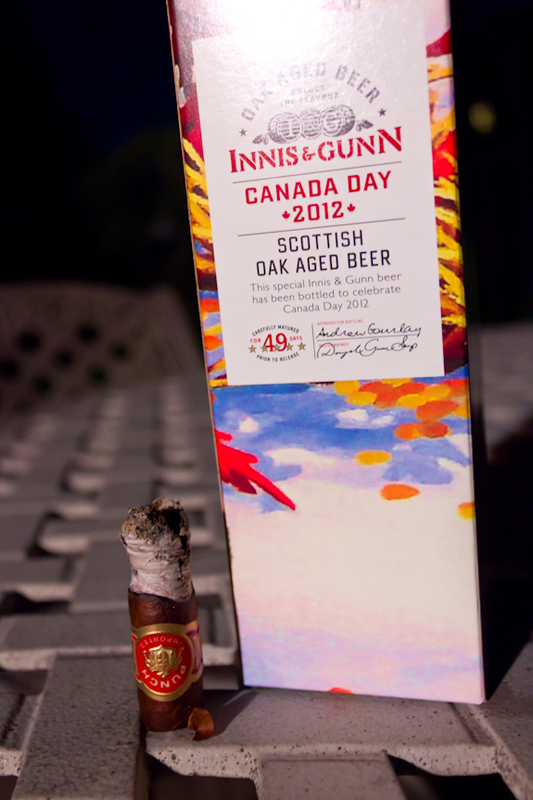 Innis and Gunn I have heard great things about and see you seem to like it.. I need to find me some of that. I have had some good and bad Punches in my time. Don’t think I have had the Cafe Royal. I can’t remember the last time I had a Punch, if ever, but I’ll take that beer! No, beer all mine! My Precious! Hahaha!! Wanna trade for this ring I found? Hat, Punch, driver, white ball with dimples. All is good! Cool contest. Would love to take a swing of a tee in Augusta while smoking a Punch and enjoying a bourbon! Im not a golfer but, nor a violent man but… if I were sporting this awesome gear Id like to take a swing at my wifey! !